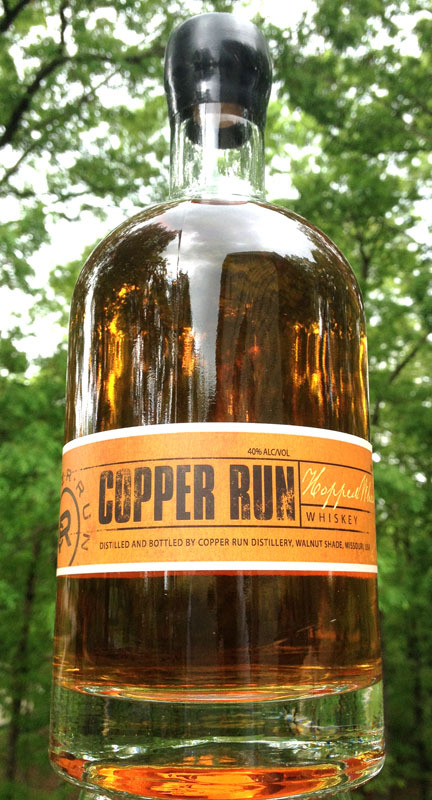 The Hopped Wheat Whiskey is one of Copper Run’s Experimental / Seasonal products a result of a partnership with Mothers Brewery, using the “Hopped Up Wheat” beer as our “wash”. We double distilled the beer in our direct fire copper pot still making rich cuts, then aged it in new “deep char” Missouri oak barrels for two years. This flavorful and aromatic whiskey is a true reflection of the Spring Spirit of the Ozarks. We hope you’ll enjoy drinking it as much as we did making it! Overall: An array of aromatics engulfs the drinking glass. This spirit settles nicely across the palate with malty sweetness into a tingling warmth with lots of rich hop and grain flavor. A surprisingly long lasting finish that keeps you guessing …is there more?